The main characters in this book are Logan, Blue and Zoe. Blue's and Zoe's families are the owners of the Menagerie. Logan is just a regular school kid until he finds something under his bed. Logan one day finds himself inside a Menagerie (Zoe's families one,) and finds out that what he thought were mythological were actual real! He finds himself on a hunt to find the six griffin cubs that had gone missing. I think that this book is a really good book. It's rating is 4.5/5. I think that it would be better if they had more BOOKS!!! I think that these books are really good overall, though. 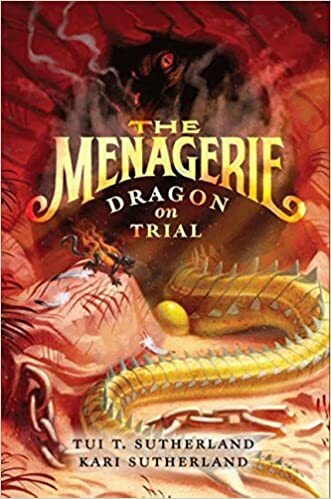 This book is the continuation of 'The Menagerie'. Logan finds out that the goose that laid golden eggs has been killed and everybody blames Scratch, the dragon. Logan and Zoe must prove Scratch innocent before they are forced to shut down the Menagerie. I think this book has a good twist in the story which is totally unexpected and I like it because it then makes you think 'wait, what?' I also like that it's original. I rate this book 5/5 because it's even better than the first book. 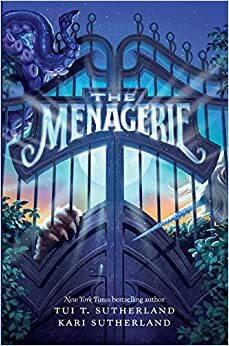 In this book Logan and Zoe have to find out who's sabotaging the Menagerie and put a stop to them. Also, Logan finds himself trying to save his mom at the same time. Will they be able to save the Menagerie? I think this book is really good especially because they add suspense and things like that. I rate this book 5/5 because it's really interesting and intriguing. Thanks for reading this post! :) ! I hope that you will read these books and if you do get a chance to read them, then I hope you will enjoy them.